For Dr. Guarionex Salivia, the family business is teaching. Becoming a university professor was a natural result of growing up around so many academics, but his love for teaching goes deeper than tradition. Outside of school, Dr. Salivia likes to mountain climb, cross-country ski and catch up on the many Netflix series he has started. He also loves to play soccer. Dr. Salivia is on the brink of getting his tenure promotion. He is excited to continue expanding his research and teaching spectrum at Minnesota State, Mankato. Find out what his spirit animal is and why plus more in 10 questions with Guarionex Salivia. What is your favorite music? I listen to anything from Spanish rock to reggae. Lately, I’ve been listening to a lot of Bob Marley. Where is your hometown? I’m from San Juan, Puerto Rico. What is your favorite movie? Star Wars, but only the original trilogy. Not the prequels and not the enhanced versions. I read recently that Disney is going to release the original untampered with trilogy, and I cannot wait until that happens so I can get my hands on it. What is your spirit animal? The dragon. I was born in 1976, which is the year of the dragon in the Chinese calendar. What word best describes you? I like to think of myself as a highly collaborative person. I don’t know if that’s how people perceive me, but that’s how I would like to be perceived. I do my best to collaborate. If you were stranded on an island, what three items would you want? If I can choose anything, then a boat. A knife, a rope and a boat. Where in the world would you like to live? There is this one town I visited in the northwestern part of Italy where my ancestors from my mother’s side are from called Genoa, Italy. I loved it. It’s a port-town and it’s interesting because the town is built on a hill. It’s beautiful. Do you speak any second languages? My native language is Spanish, and I also speak Italian. If you didn’t have to sleep, what would you do with the extra time? Catch up on all my Netflix. I’m watching too much stuff and it’s hard to catch up. Do you have a hero/heroine? I look up to my father a lot because he was also a university professor. I think of him as a figure to emulate. I rely a lot on my wife, not just for support, but also because we compliment each other. It’s not about heroics, it’s about life experiences. What’s Trending At Minnesota State? 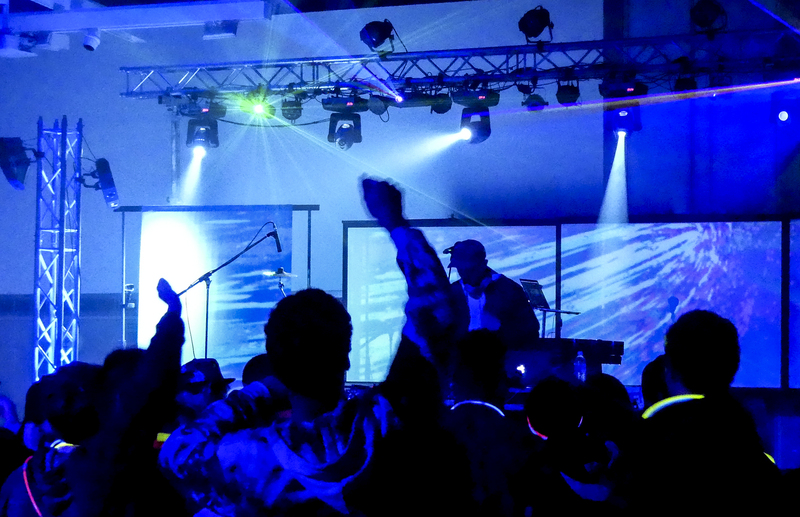 A recent EDM Concert hosted in the Centennial Student Union by the Student Events Team provided a multimedia production with live streaming as techno-savvy students seek more interactive entertainment. Part of the continuing effort for keeping higher education relevant is adjusting the university experience to ever-changing trends. University campuses such as Minnesota State University, Mankato continually seek greater diversity among faculty and staff to meet the expanding cultural demographics of its student body. Other challenges and opportunities involve responding to the needs of distance learners as online classes appeal to students across the state or just across campus. For Bill Tourville, assistant director of campus programs, his Student Events Team within Student Activities at the Centennial Student Union must balance events between a generation of students that either wants to get an education and get out – or those that want to interact. Tourville said 15 years ago, the entire lineup of campus programming would have been performances. “That’s not okay anymore. The traditional performance style is outdated. Students want to be part of something bigger,” he said. Among the most popular traditions coordinated by the Student Events Team is the annual CSU Haunted House. Much of the entire 215,000-square-foot student union turns into Halloween Spook Central as various student organizations put together their idea of scary. Hundreds of students line-up to be engaged and engrossed in the moment. Campus versions of game shows and cosmic bingo, exotic animal day and even organized snowball fights are on the students’ wish list of events. Tourville said another balancing act is national name recognition versus unique experiences. Students on one hand are most comfortable with “national prepackaged stuff” whether its movies or concerts or lectures. On the other hand, students are drawn to unique, interactive experiences. Many of those involve some level of technology whether it’s smart boards in student union meeting rooms or spaces that are flexible, communal gathering places. For concerts, Tourville said the trend is to direct dollars to production as well as performance. A recent Electronic Dance Music performance in the CSU blended music with a multimedia experience. Within those type of interpersonal events is the growing trend in live streaming. At Minnesota State Mankato, Tourville said Facebook live streaming at concerts starts in the morning and continues until they contractual must shut down the site. “Two of the artists at our EDM concert were Facebook live streaming the entire concert,” he added. When, where and how live streaming is allowed is now creating issues that need to be addressed. Tourville adds that social media continues to be a trend that needs constant attention. Even then, organized programs or departments are viewed as outsiders in students’ social media circles. Snapchat is the latest trend in the social media landscape. While Facebook is a popular communication tool, it doesn’t reach into a student’s inner circle. Tourville said the trend is to take a different Facebook approach by providing good content that they can use personally. For student life professionals, these changing trends for the Millennial generation means – perhaps now more than ever – the continuing trend of vigilance, flexibility and creative ideas that keep the college experience fresh and memorable for a diverse, individualized and interactive array of college students. Maverick Bullpen manager, Kyle Bischoff, has a knack for bowling. 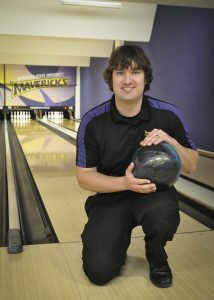 Before transferring to Minnesota State, Mankato, he bowled competitively at Wichita State University. His love and knowledge of the game has helped him to coach the men’s and women’s bowling league at MSU, which is one of his dream jobs. He jumped at the chance when he was informed that Scott Anderson was leaving. Working with students and coaching them in the sport has made his dream reality. In the future, Kyle hopes to host a collegiate bowling tournament in Mankato. The old pizza was good. The Maverick Bullpen’s new pizza is the popular perfect treat between study sessions. In addition to the menu upgrade, there are new things to do on the gaming floor. There is a ping pong table, an extra foosball table and a new video game system. If video games aren’t your thing, you can grab one of their 30+ board games from the front desk. The Bullpen also hosts a variety of different events throughout the semester, including concerts. The Bullpen is the perfect place to have a snack and drink between classes. Or, if you closed down the library the night before, the TV room in the back is a great place to catch some z’s. All information regarding the Bullpen hours, food, prices and events can be found at csu.mnsu.edu/MaverickBullpen/.